One of the most beautiful Hollywood couples has just celebrated their 30th wedding anniversary. Any guesses who could it be? 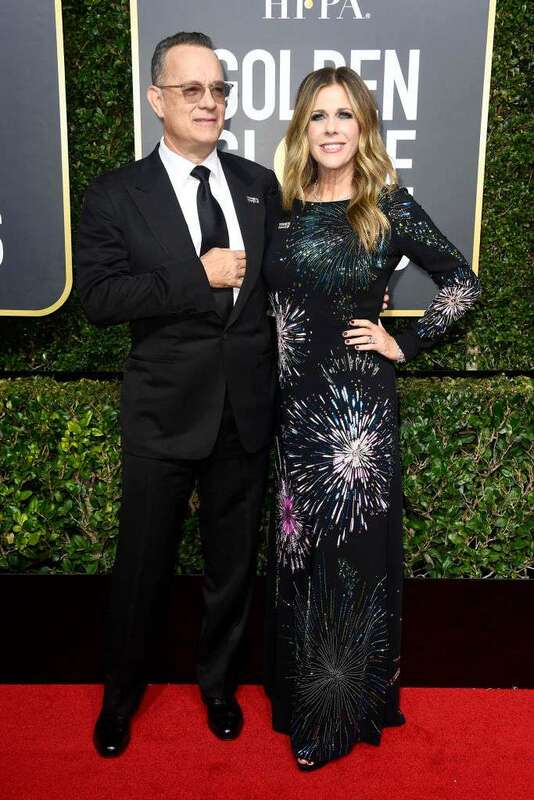 Ok, we’ll give you a helping hand – it’s Tom Hanks and Rita Wilson. Happy 30th anniversary, Tom and Rita! Time goes by so fast when you are in love. This is exactly the case of the Hollywood heartthrob, Tom Hanks, and his lovely wife, actress Rita Wilson. On Monday, the lovebirds celebrated their 30th wedding anniversary and arranged the huge party with A-list guests. Happy 30th anniversary, Tom Hanks and Rita Wilson! Hanks and Wilson first met while shooting in the popular 1980s sitcom Bosom Buddies. Five years later, they co-starred again in the film Volunteers, which actually marked the beginning of their romantic affair. Soon afterward, the lovebirds began secretly dating. Three years later, they finally tied the knot in a beautiful wedding ceremony. The couple has two sons. It’s hard to believe that three decades have passed since that time. To celebrate this significant date, Tom and Rita arranged a huge party at their Pacific Palisades house. Their guest list included such outstanding names as Barack Obama, Oprah Winfrey, Goldie Hawn, Kurt Russell, Jimmy Kimmel, and others. The success of our relationship was a matter of timing, maturity, and our willingness to have an intimate connection. We both know that no matter what, we'll be with each other—and we'll get through it. Tom Hanks and Rita Wilson prove that real love between two successful and famous celebrities is not a fiction in Hollywood. We are so happy for this wonderful couple. Our best wishes to Rita and Tom! Happy anniversary! READ ALSO: Hollywood's Nicest Guy - Tom Hanks Talks About His Faith In God And Its Effects On His Life And Marriage.